Scope of Work: Consultant on the Letrange feeder road was Sorell Consulting Ltd. SCL was responsible for providing engineering design and supervision of works where issues pertaining to design, works contract and technical inspection/ supervision were addressed. The project addressed the issue of safety and accessibility. 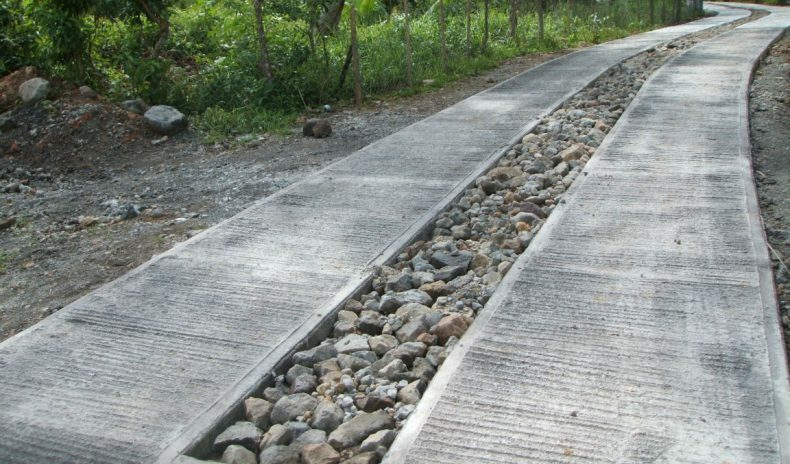 This was done by constructing a 1,700′ wheel track with concrete drains and culvert crossings which facilitate passage on the presently slippery terrain of the Letrange Road on wet days. The upgrade of this road made a positive impact on the community by encouraging new and existing farmers to undertake agricultural activities. In addition, as the Letrange area holds huge potential for village expansion the improved road access will facilitate this process. Grand Bay Youth Centre Retaini Respite Centre P.A.C.I.S.